I understand that I affix the personalized labels to the top of the clear boxes. Cards, themselves, are not personalized. 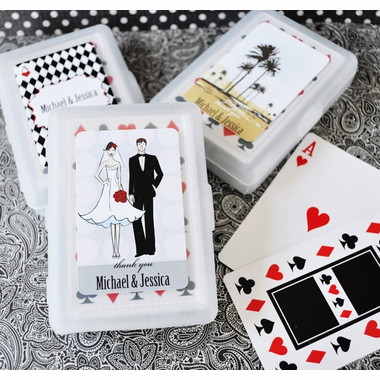 Our game wedding favors will help you play your cards right by giving your guests a winning hand! 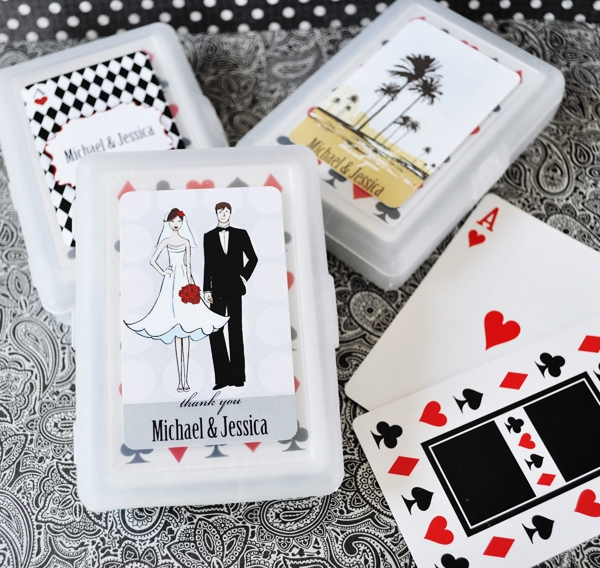 These wedding playing cards are worth the gamble, and your friends and family are sure to be entertained long after your wedding. 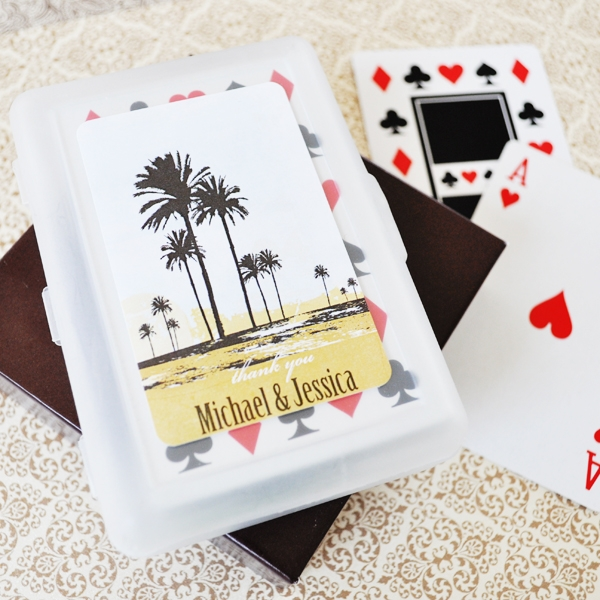 Each favor offers a personalized label to affix to the playing card cases in a variety of popular wedding themes, engagement party favors or other party themes. 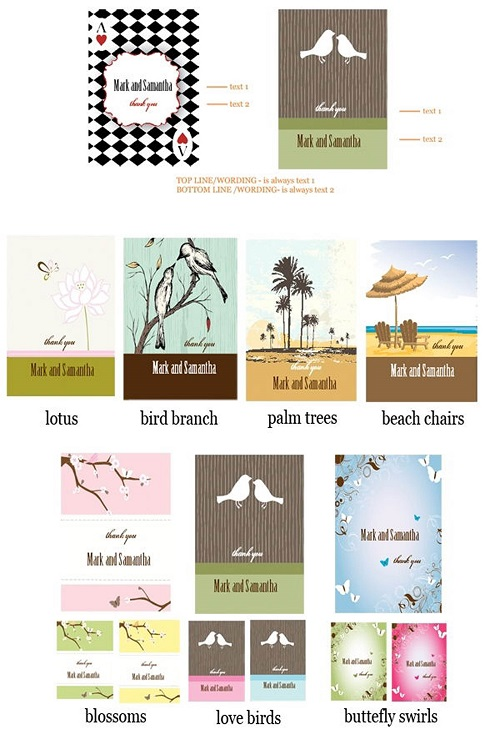 Choose from a variety of creative modern wedding designs for all season weddings as well as an array of color options. You may also add two lines of text (see inset to view) to personalize your label to remind your guests of this special event with every game they play. Your guests will remember your unique flair with these personalized label playing card favors - also perfect for beach party favors, prom favors and more! NOTE: Only the outside personalized label is personalized, the actual playing cards cannot be personalized and have a basic white, black and red card suits design on them shown in the photo. Personalized labels for the the outside of the box are un-attached. Some assembly required. 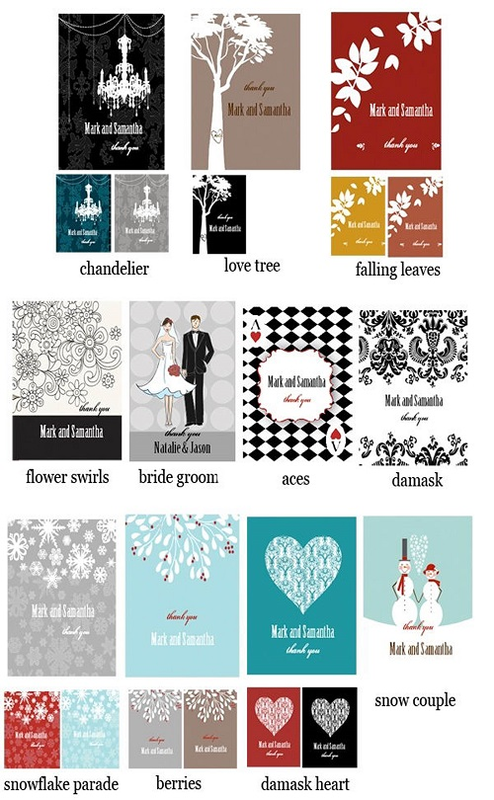 These make terrific playing cards for cheap bridal favors. Your order ships from CA. To calculate shipping time please refer to this UPS Ground Shipping Map:Click here.